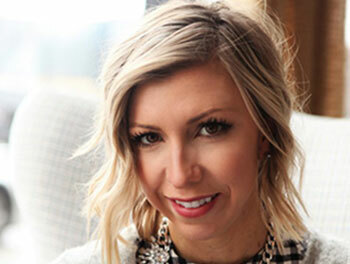 I have rounded up some adorable jumpsuits and dresses that won’t break the bank, and make the cutest all-in-one outfits, which is always a win in my book! All of these options are also bump friendly in case you are pregnant and needing a few pieces to add to your maternity wardrobe. This jumpsuit is so comfy! It’s super cute paired with these leopard sneakers. 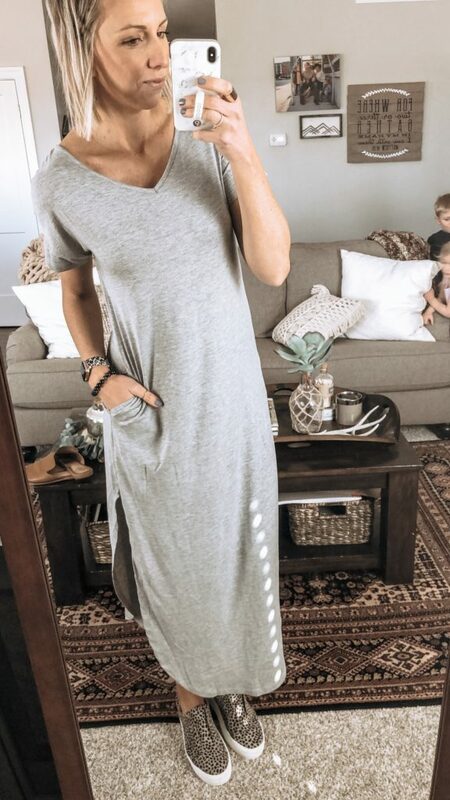 This split hem maxi dress is so cute for summer! I’m going to be living in this as my bump grows. I love that it has pockets. Get your normal size in this one. If your pregnant I would suggest going up a size. Pair it with sneakers or sandals for an easy, everyday outfit. 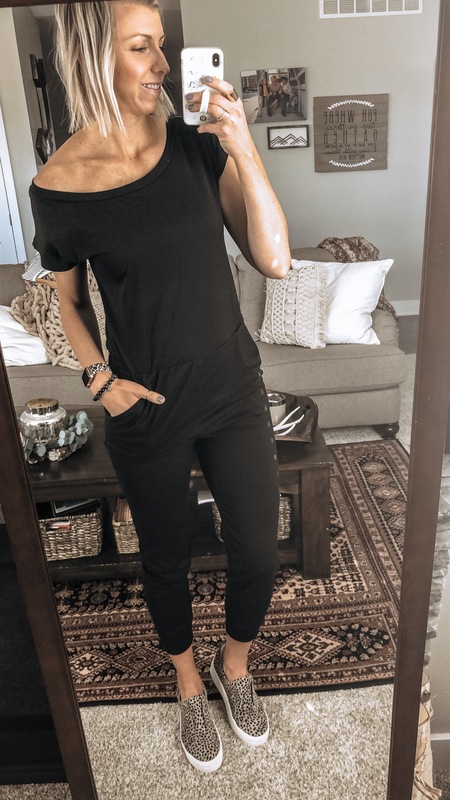 Another great jumpsuit option! I love that this one has adjustable straps, & you can layer this with a long sleeve tee, or tank for more coverage. Or just pair it with a bralette. I sized up to a medium in this one to grow into. Get your normal size if you’re not pregnant. 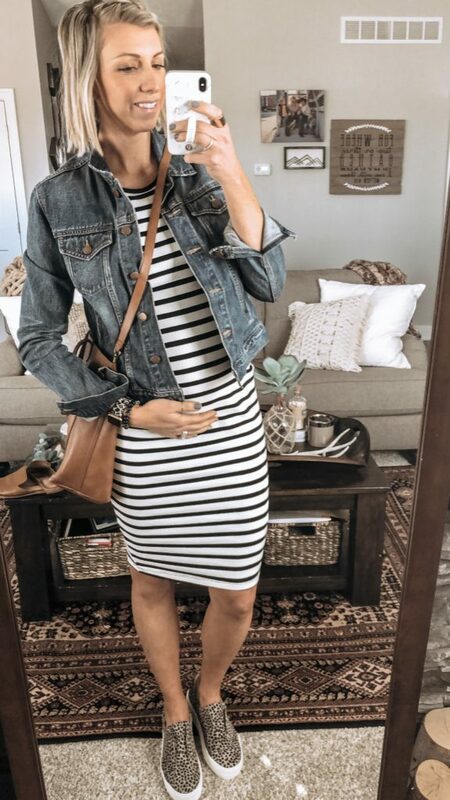 If you are pregnant, this stripe, body con, dress is a must! It is so flattering on your bump and comfortable to wear either dressed down w/ sneakers & a denim jacket. Or dressed it up with wedges, a clutch & jewerly for date night. I will be living in this dress for the rest of my pregnancy! I got my normal pre-pregancy size small in this one. 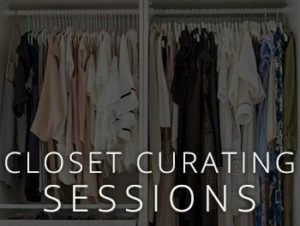 Stay tuned for lots outfit ideas styling dresses and jumpsuits for spring.